Outsourcing is the trend in the (heavy) industry, focussing on core activities and thus optimizing operations. This created the demand for adequate services for non-core activities and has lead Wuvio to set up its own operational division. 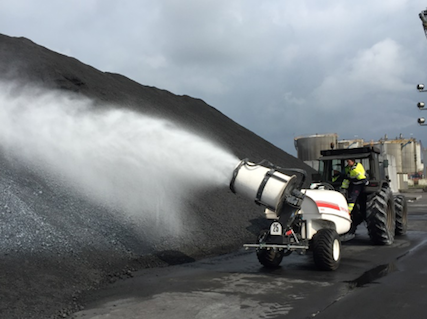 Providing not just dust suppression additives but also machines, equipment, consultancy and working as a full service subcontractor. Total dust care solution is a concept which takes care of your dust related problems. From outside stockpile treatment to inline and process management. Full range of spray bars and atomizing systems for various applications. Next to this Wuvio has close co-operations with local equipment manufacturers and integrators in all regions to enable worldwide coverage and service levels. Together with these partners, Wuvio offers turnkey solutions including local technical support and spare parts.